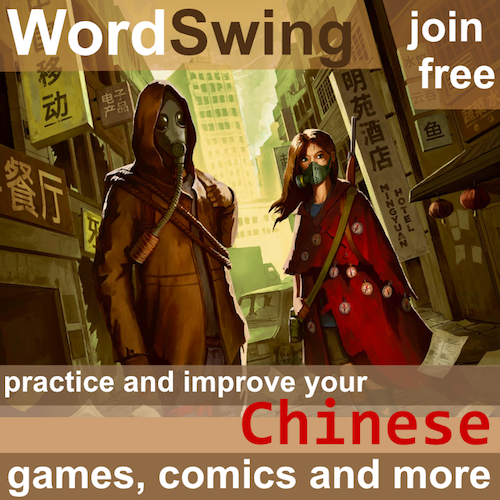 If you look at what methods work well for learning Chinese (or any other language), you will see the word “immersion” over and over. The analogy is straightforward: Chinese is like water and learning the language is like learning to swim. You don’t learn to swim by reading about it, you learn by getting wet, by immersing yourself, as often and as much as possible, but not so much that you actually drown. Many students mistakenly believe that going to China equals immersion, but it can be easily demonstrated that this isn’t true. You can create an immersion environment in your home country. It’s also perfectly possible to go to China and stay in an expat or tourist bubble, thus only coming into contact with slightly more Chinese than your friends at home. The only significant difference between immersion at home and abroad is that it takes more effort at home. This month’s challenge is about improving listening ability, so in this article, I want to focus on the listening part of immersion. Listening ability is a tricky beast. While there are some things to say about how to improve, it’s much more about exposure than anything else. 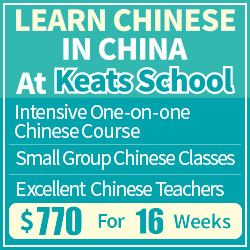 You learn to understand Chinese by listening to Chinese, preferably with varied input from different speakers and, once you reach an intermediate level, with different regional accents. Now, humans are not machines, so most of us can’t just program ourselves to listen to Chinese for six hours a day for months or years. If we could, our listening skills would sky-rocket and all other skills except handwriting would be dragged up along with it. I’m not going to focus on why it’s hard to “just do it” for such an extended time. Instead, I’m going to focus on how to overcome the problem of enabling yours to listen to as much Chinese as you ought to. Hacking Chinese Resources currently offers 88 links to listening resources, some of them being repositories of huge amounts of listening material. All learners should be able to find something suitable here. 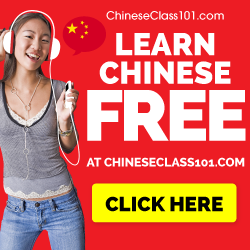 The 10 best free listening resource collections for learning Chinese is an article I published late last year that presents ten awesome listening resource collections. Useful if you want a more narrow selection. Chinese Listening Challenge, March 2015 is the challenge of the month and the reason I wrote this article. Scroll down a bit and you’ll find resource suggestions for different levels. One thing I have learnt on my journey towards a better understanding of how to get things done is that controlling the environment is easier than controlling one’s own behaviour, and that it’s usually more effective. If you want to do something a lot, say an hour or two every day, the first step you need to take after finding audio is to make sure that it’s really easy to listen to it. Always have audio available – This is super important. Wherever you are, you should have Chinese audio available to listen to. In the bathroom, when out on a walk, when you learn your friend will be 15 minutes late or when you miss the bus. If at any point you realise that you could have listened to Chinese, but can’t because of a practical problem, you make an angel cry. Transfer audio in advance – If you don’t stream audio, you have to transfer audio to your smart phone in advance (even if you stream most of it, you should still have audio files just in case). Make a habit of managing your audio! Every Sunday (or whatever), check what audio you have available, and if it isn’t enough to last you at least two weeks, transfer some more. Additionally, keep a folder somewhere in the cloud where you store audio you can download to your phone if need be. Remove distracting audio – I have already said that you should make it as easy as possible to listen to Chinese, but it also follows that you can do the reverse, i.e. making it harder to listen to audio in any other language. If you listen to a lot of audio in your native language, it might be tempting to listen to that instead. Make it harder to access! You might not want to make it impossible unless you want to go 100% Chinese, though. Solve any technical issues – This involves bad audio players, faulty earphones or slow connections. If you’ve made an effort to find audio and make sure it’s available when you need it, it doesn’t make sense if fail because of technical issues. 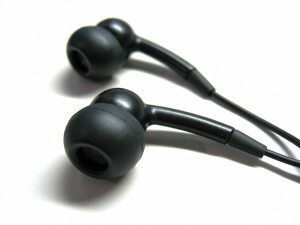 Have an extra pair of earphones available (they can be really cheap, you’re only going to use them if your primary pair breaks or if you forget them), buy a separate, cheap mp3-player just for Chinese. It you have succeeded with the first two steps, you’re still not home and dry. The real difficulty lies in keeping this up for weeks and months. 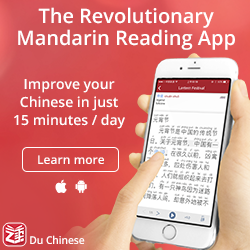 Sure, you can vary the amount of Chinese you listen to, but if you study full-time, you have no excuse for allowing it to drop below an hour a day. That’s not easily achieved, especially if you have to create the immersion yourself by finding audio and then making it accessible. Vary the difficulty level – It’s very hard to listen to difficult audio for longer than ten minutes. If I listen to something where I have to really, really concentrate to understand what’s going on, I start feeling tired quickly. It’s simply not possible to force yourself to take in difficult audio for hours on end. Instead, you should strive to find audio on different levels. Some audio you can listen to when your energy levels are high, other sources are more suitable for when you feel tired. Re-listening to old audio is a great way of lowering the difficulty. Read more about this here. Make learning social – I like challenges, not because I like competing against others (I don’t), but because it gives me a clear and public goal. It makes me accountable and it’s easier to study when I’m doing it with others. This is why I launched Hacking Chinese Challenges, so if you’re like me, you should definitely check it out. Other ways of making learning social is to find study partners, talk about your learning on social media and so on. Listening to enough Chinese audio isn’t easy. It requires preparation and some discipline. However, the whole process can be made much easier by following the advice I have offered in this article. When I fail to listen as much as I want, it’s seldom because I don’t want to, it’s almost always because I have failed a seemingly trivial step such as transferring audio from my computer to my phone. that really shouldn’t happen! I hope that by discussing this issue, you will stand a batter chance at listening to as much Chinese audio as you should. Good luck! Very interesting ! About listening to audio on the go, I’d like to recommend to app “蜻蜓FM” for Android. Like a lot of similar radio streaming apps, it offers a broad variety of programs, but I like the fact that it makes it very easy to download and organize content for offline listening. I have some tactical questions. 1) Is it important to have ANY IDEA what’s going on in the audio? Compare the value of listening (as a beginner) to …. an audiobook of children’s nursery rhymes vs. Chinese political debates? This is different than “vary the difficulty” – this is more about how much you get out of something you don’t know the meaning of. 2) Is it important to focus on the audio? Compare the value of listening to (for instance) BBC Chinese as background while I work/workout vs. sitting down in a quiet room with headphones on, listening, taking notes, saying some words out loud. The more you understand, the more you will learn. That doesn’t mean that it’s completely useless listening to things you don’t understand at all (you can still pick up intonation, sounds and so on), but it’s not good. In a similar manner, the more you focus the more you learn, but again, you will notice a lot even if you do other things at the same time. I have written more about this here.